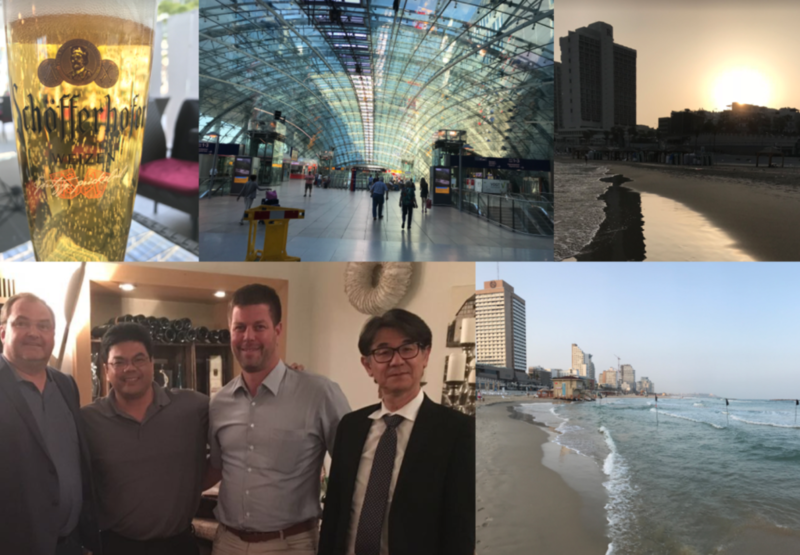 Continuing our journey of sharing the power and benefits of SYNESIS, Tom Nakamura, and I traveled to key partners and their prospects in Germany and Israel. I wasn’t looking forward to the long plane rides but quickly found both destinations rich with promise. We had one hiccup in our arrival in Germany where the airline almost lost our demo equipment during transit…the day before our meeting. I’m sure you can relate. During our meetings, we shared with but also learned from packet minded engineers. As always, packets are important…don’t drop them. Showing our prospects how SYNESIS can record all packets even up to 100Gbps never gets old. It never ceases to amaze me how the network monitoring community can appear to be a “small world”. I met network engineers that sold or used the same application or network performance products I worked on or supported during my career. We of course shared stories of products past, people we knew in common, and possible conferences or meetings we may have crossed paths at least more than once. Thanks to our hosts for their hospitality.